The 25-year-old Ghana-based entrepeneur Joanita Addo is the founder of HYMA Academy, an organisation that offers vocational trainings such as beading and making soaps. She took a course in Bsc Economics at Central University College in Accra, Ghana. She graduated in 2013. In this one-on-one interview,topics such as what other trainings she offers, the challenges she faced when she started managing the HYMA Academy and her plans this year were discussed. Phyllis Ntim: What does HYMA stand for? Joanita Addo: It stands for the initials of my mother, Harriet Yaa Manubea Addison. Phyllis Ntim: Why is the academy named after your mother? Joanita Addo: I just wanted to create a legacy for my mother. She is a single mother. She looked after my sister and I all by herself. She has done so well in taking care of us. Phyllis Ntim: When was the HYMA Academy established? Joanita Addo: I had the idea on 13 July, 2015 and we had our first training session on 22 September, 2015. I did the registration and incorporation in the first week of October. Phyllis Ntim: What does HYMA Academy offer? Joanita Addo: We offer classes in certain trades for people, so that they become self-employed, instead of sitting at home and not getting a job. It’s about having an impact on people and empowering them. Phyllis Ntim: What kind of workshops do you offer? Joanita Addo: For now, we offer beading, make-up, how to fix a weave, make wigs and fascinators trainings. We added liquid soap and parazone as training sessions as well. Phyllis Ntim: What is the reason that you started the HYMA Academy? Joanita Addo: After I graduated from Central University College, I realized that so many of my mates were at home, struggling to find a job. Even my seniors, those that graduated before me, were jobless. There are many people that have been jobless for five, six or seven years. They can’t get jobs. They continue sending cv’s to companies. With the Dumsor (power outage), there are a lot of companies laying-off staff. It is becoming more and more difficult for graduates and for other people to have a job. My thought was why don’t I just start training sessions for people so that they can come, learn and start a business for themselves so that it won’t be a matter of “I can’t get a job, so I don’t have money.” There is such a huge incidence of poverty, especially among graduates and the youth. The goal is to empower people and help to reduce the unemployment and poverty in the country as a whole. That is how the idea came about. Phyllis Ntim: How did the trainings go so far? Joanita Addo: When I initially started with the trainings, I thought it would only be organised once. I didn’t think that people would request for them to be organised repeatedly and for other regions to request that we come there. We started in september, then in november till the beginning of december. Three training sessions were organised each month. It’s been encouraging. Sometimes, due to lack of finances, I would want to stop but then I remember someone who had no hope in doing anything and now the person is making beads, selling them and making money for herself. There are still more people at home who need it. I can’t stop now. There are people that have called and said that we have really helped them. Phyllis Ntim: Did you have any sponsors? Joanita Addo: No. It’s just been God and I.
Phyllis Ntim: What were the struggles that you faced when you started managing the HYMA Academy? Joanita Addo: There are struggles. The number one struggle is lack of finances because we don’t have a sponsor. For instance, some people have asked us to offer cake training but training people to make cakes involves a lot of equipments. We don’t have the money to start the training yet. We offer our trainings in Accra and sometimes people want to come as far as from Wa and Tamale but we don’t have a place to accomodate them. Due to that, they can’t come because they don’t know anyone to stay with for some time and then when they are done with the training, they go back home. The second challenge has been finding facilities, training rooms and an office for the academy. 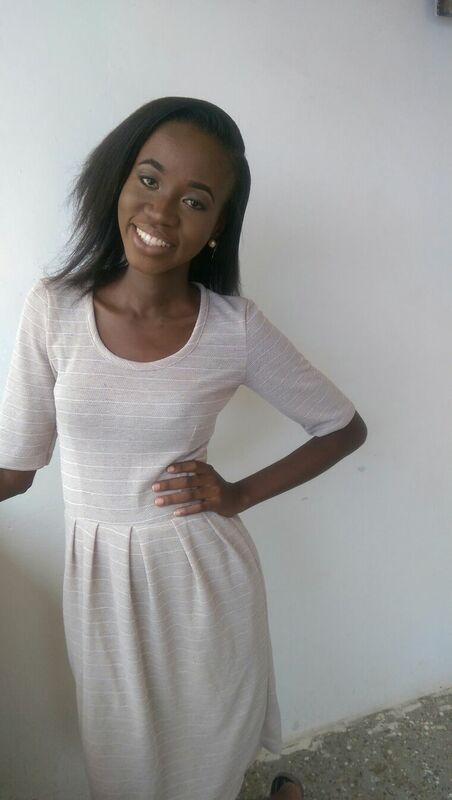 Phyllis Ntim: What are your plans for the HYMA Academy in 2016? Joanita Addo. I have so many plans. We are expanding into other aspects of beading. We will be offering trainings in making footwear (slippers), bags, purses. We are also going to train people in massage therapy. We have someone who is willing to teach the participants. We are looking into expanding our reach and being able to train more people so that they will benefit from what we are doing. Also, we are looking into training people in university campuses. The idea came about because there are so many unemployed graduates. Instead of us waiting for them to graduate, why don’t we go to the university campuses and train them there? Even whilst they are still in school, they then have an idea of how to run a business so that there won’t be a matter that after they graduate and they can’t get a job and that they run to us to train them. In January, we’ll be going to a physically challenged home in Kumasi to give a training of some of the things that we do so that the phyically challenged people can start a business. In Ghana and in a lot of african countries, if someone is disabled, the person is seen as invalid. We don’t only train unemployed graduates. Phyllis Ntim: What are they responses that you have received about the HYMA Academy? Joanita Addo: I have received positive and encouraging responses from former participants. When it comes to the financial aspect, I would want to stop but then I remember someone’s comment. I’m then cheered up to move forward. 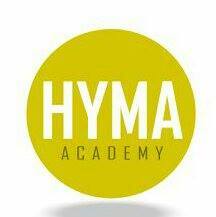 You can follow HYMA Academy on Facebook @HYMA Academy. For more info, call +233205058891.